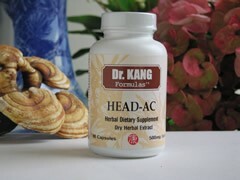 To be used as a supplement to a balanced diet when headache or migraine symptoms are present. From the Western scientific perspective, headaches may appear in the absence of organic pathological changes although they sometimes occur during disease states. While most headaches are transient, some can be extremely severe and recurrent over periods of months and years. From the Traditional Chinese Medicine perspective the head is the meeting place of all Yin and Yang channels. Exogenous factors (wind, cold, dampness) may attack the head, obstructing blood circulation and the flow of Qi. Some internal factors that bring about headaches are excessive Liver Yang, deficient Kidney Essence, or deficient Qi and Blood. Any of these disturbances to Qi and blood circulation can cause headaches. 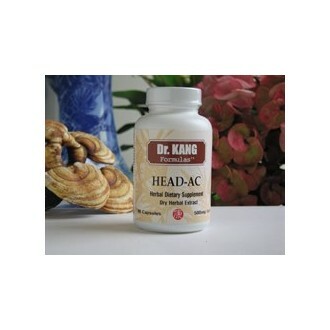 This formula addresses the widest possible range of disturbances to Qi and blood circulation in the head and most effectively treats the symptoms which result. This formula is effective when one or many of the above factors is present. TCM Indication: Attack of exogenous Wind, and Qi or Blood stagnation marked by headache, migraine or pain at the top of the head, stomachache, nausea, vomiting, heavy chest, flushed face, dizziness and restlessness. Chinese acute care research shows that this formula has the following effects: relieving pain, reducing fever, tranquilizing the mind, and promoting blood circulation.